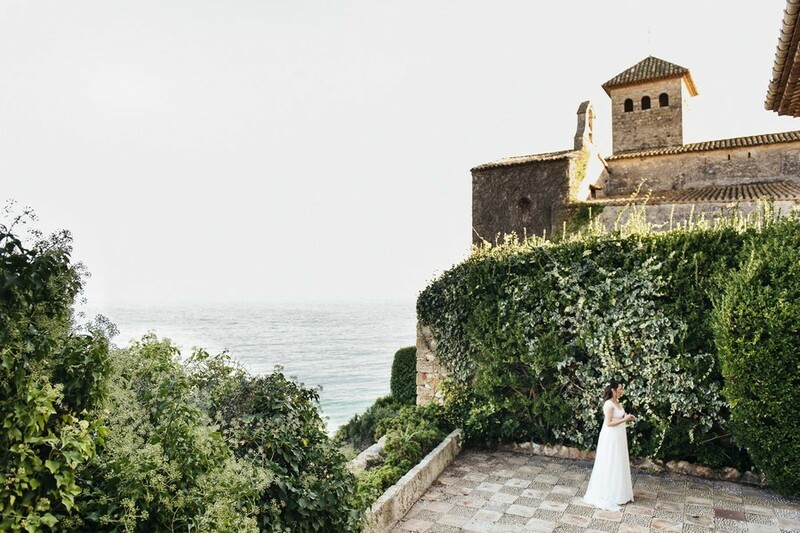 The international wedding destination of your dreams. 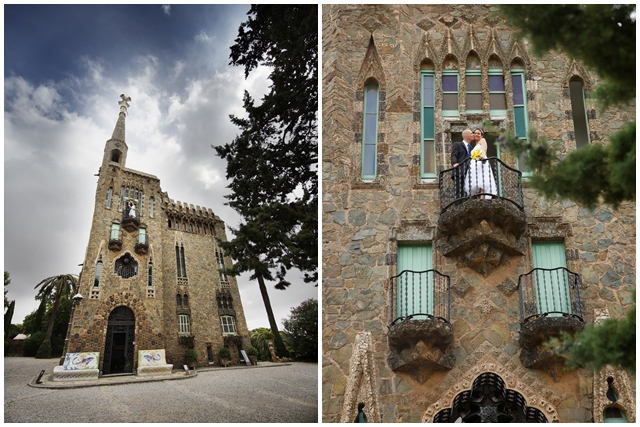 Are you imagining (or even planning) your wedding in Barcelona? Here at Travel Bar, we specialize in hen and stag weekend packages and activities for brides-to-be and their wedding parties. 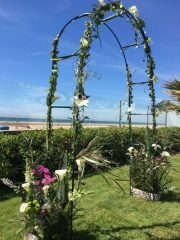 Nevertheless, we understand that planning a wedding goes far beyond an amazing hen do or stag party. 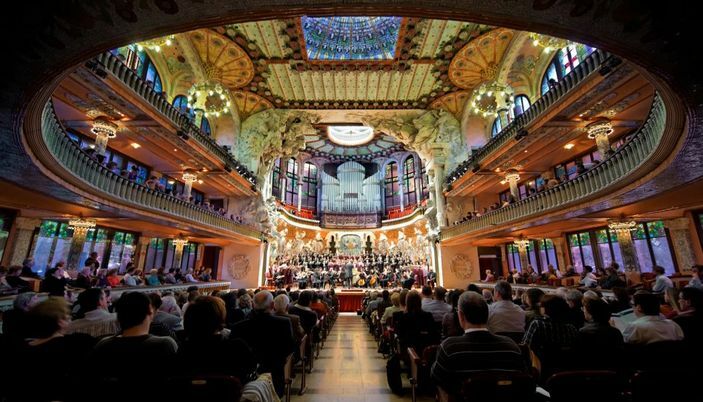 Thus, we’ve put together a list of some of the most spectacular wedding venues in Barcelona for you to enjoy! The peak of this beautiful mountain is at the top (get it?) 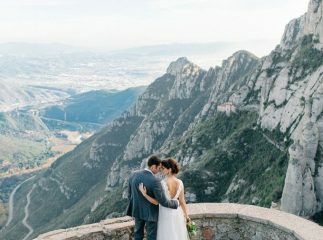 of our list of amazing places to get married. 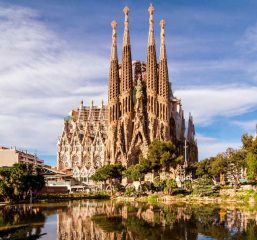 With a romantic church and a spectacular view overlooking the entire city of Barcelona, this place has a lot to offer…and did we mention it has a theme park? 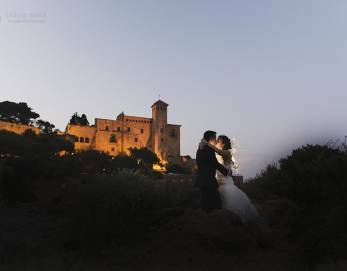 The wedding planners Pearl Sandals in Spain planned a wedding in Tibidabo already! Click here for the photos they took of the wedding and for their website! This basilica, one of the best examples of Catalan gothic architecture, is said to have the narrowest interior columns of any church of its size. 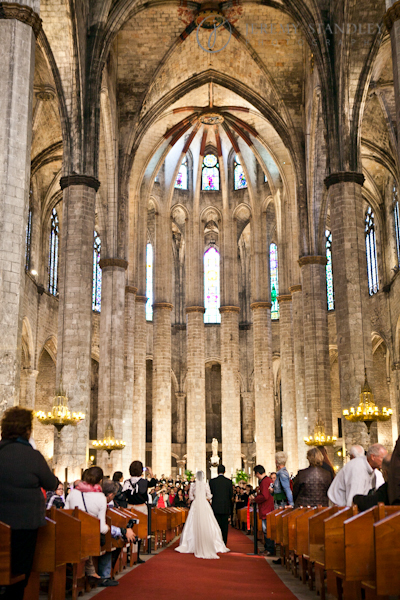 Because of its glorious architecture and solemn, austere interior, it is a dream setting for any wedding. 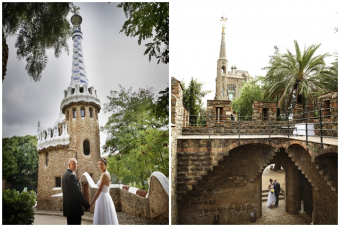 Gaudí’s famous park is turning into a hot destination for beautiful weddings! Because of its view of the city skyline, fantastic shapes and animals, it forms a fantastic backdrop for every bride and groom! To see more photos from this wedding click here for the planner’s website. 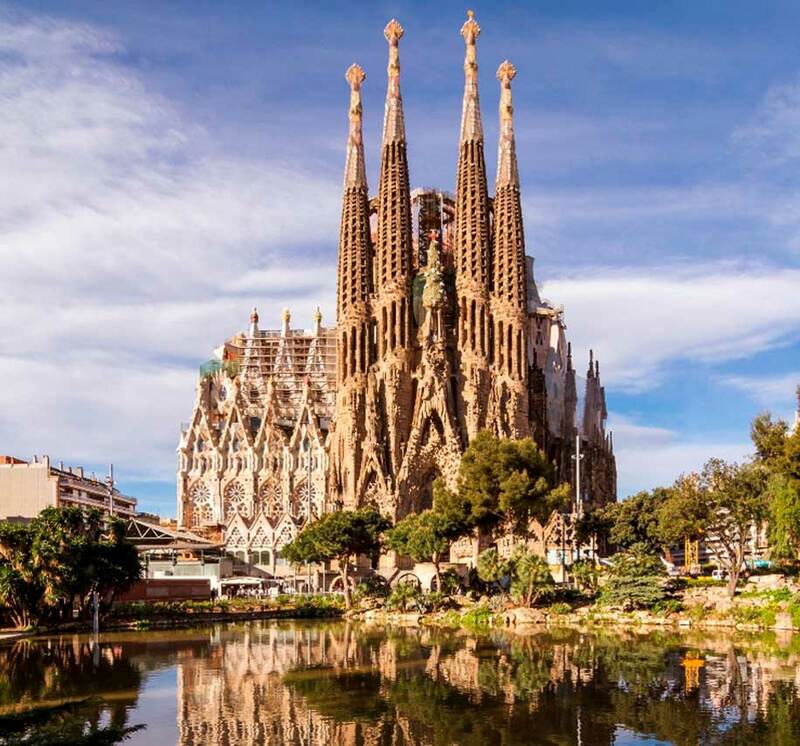 Gaudí, Barcelona’s most famous architect, designed this church himself. 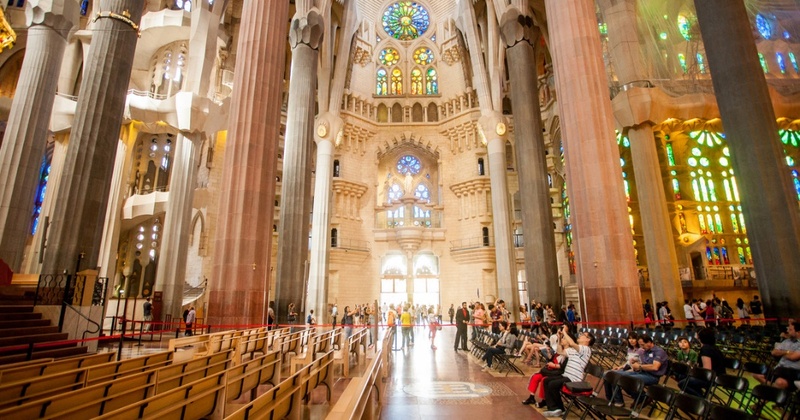 The amazing basilica is set to be completed in 2026, but even now it is a true wonder. That’s why we think you should have your wedding there. 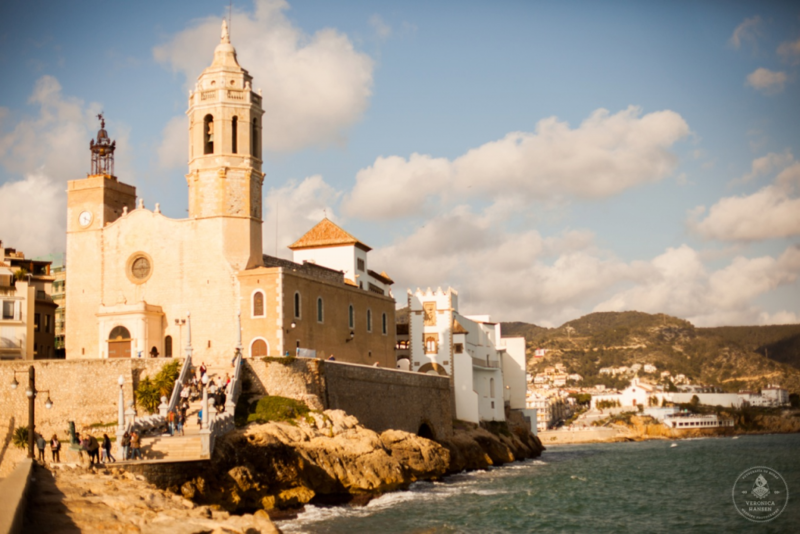 Home to the biggest carnival outside of Rio de de Janeiro and for those with a love of the Mediterranean, Sitges (a town just outside of Barcelona) is the perfect place to get married! Our favorite spot on this list is a castle. Yep, you heard that right: a castle. The Castell de Tamarit, on the coast just outside of Barcelona, is a full-service wedding venue. For their website and for more information, check out this link. Hotel Playafels is a popular wedding spot right on the beach. First of all, it’s thirty minutes from Barcelona by car. 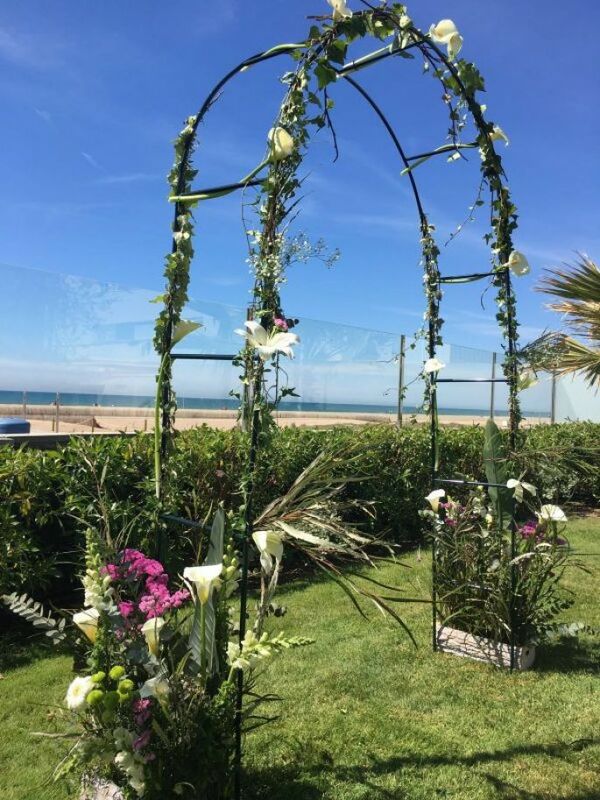 And beyond that, this fabulous hotel works with you to customize your day to make it the wedding of your dreams. For more information, check out this link. With its famous acoustics and incredible architecture this unique art Nouveau building would be an exceptional place for a wedding! Camp Nou, as it’s known in Barcelona, is the football stadium of Barça, one of the most famous football teams in the world. Who would think—they offer to host and organize your wedding, too! 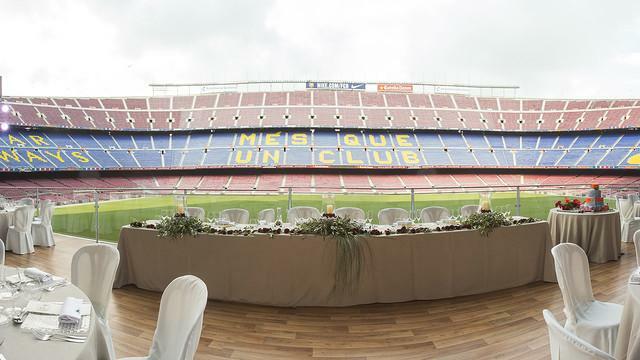 To find out how to have your wedding at Camp Nou, click here. 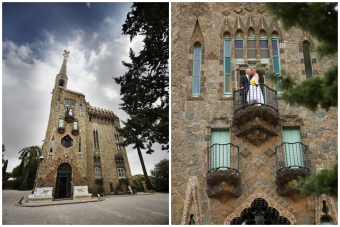 What is more romantic than a monastery in the mountains outside of Barcelona? Nothing, that’s what. 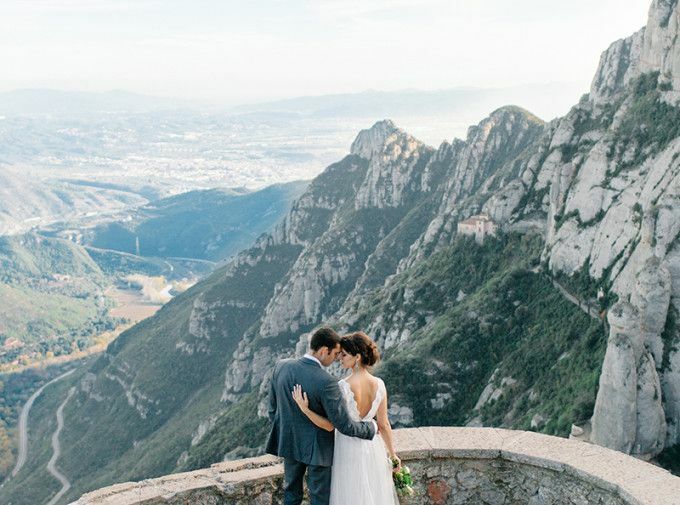 With breathtaking views, Montserrat certainly is a location you should look at for your ceremony. For more information on their website, click here. 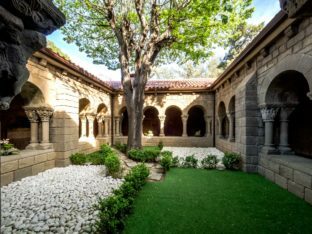 This majestic Romanesque monastery is the setting for your perfect wedding. 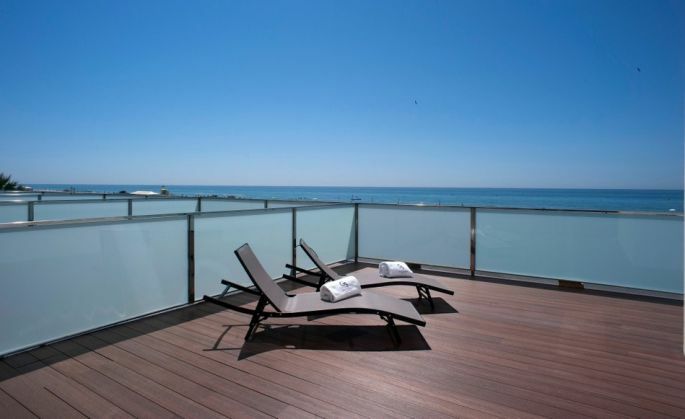 Set in Poble Nou, Barcelona, it’s a gorgeous place to say “I do”. 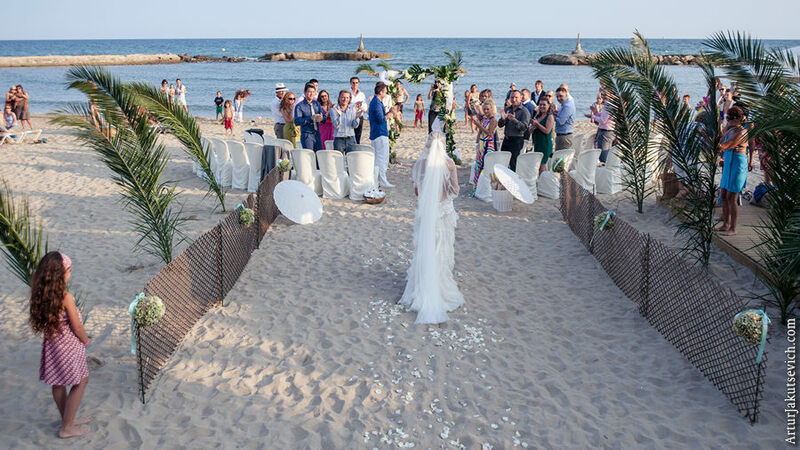 In fact, Poble Nou has multiple wedding venues all available for use. 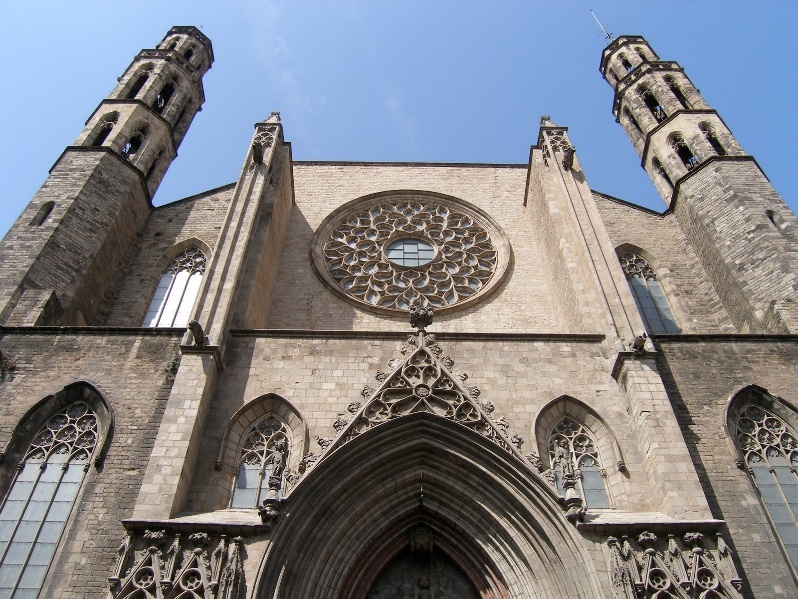 For information on the monastery or Poble Nou’s other venues, click here. 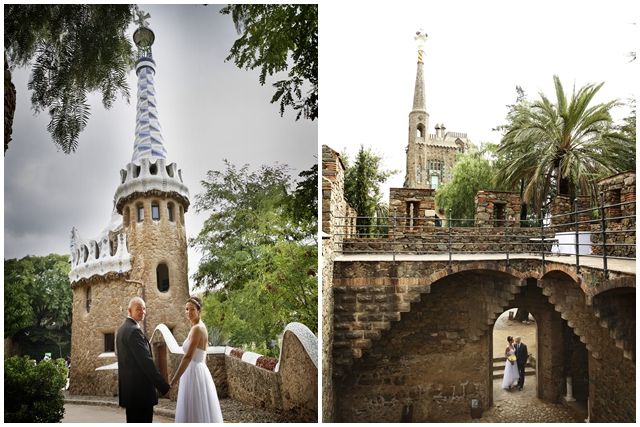 Barcelona is full of locations to have a dream wedding, and whichever one you choose, we’re glad we could help! Moreover, while your guests and wedding party are here in the city, we’d love to help you plan activities in the local area, so check out our page at www.travelbar.com for classes, tours, and Spanish experiences in Barcelona! 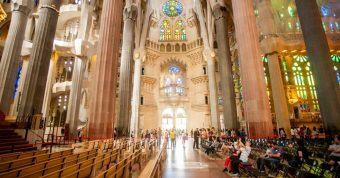 Anna Shoffner is a staff writer for Travel Bar, a Barcelona company that specializes in hen and stag weekends, offering Barcelona’s best tours and experiences. 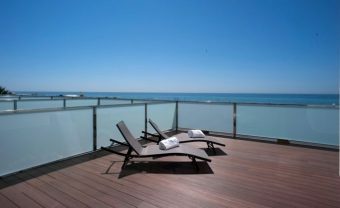 To see Travel Bar’s hen packages, tours, and activities, visit us at www.travelbar.com.